2 posts categorized "Do It Yourself"
Last week I got the chance to take a press tour of the Levi's Workshop located in the heart of the Mission district. Levi's Workshop is a special pop-up shop that celebrates the history of printing that lasts through the end of August. Visitors can come in during open hours and check out the vintage printing machines or try their hand at silkscreening or rubber stamping. There's a full calendar of special workshops and events to attend as well. Check out my complete write up and photos at CRAFT! If you want to take your knitting or your crochet projects to the next level, knitPro can let you add some personal touches through this online web application. 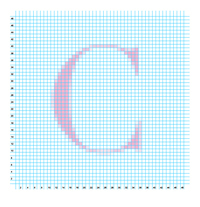 Just upload a JPG of a pattern, image, type, or logo and instantly the application will generate a PDF graph that you can apply to your crafts project. I tried it and its definitely simple. 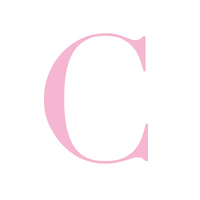 Using a simple JPG of the letter "C" for Coquette, I uploaded my file into the system. You’ll want to make sure your image is clear (if you have a pattern or image) and also less than 1MB in file size. 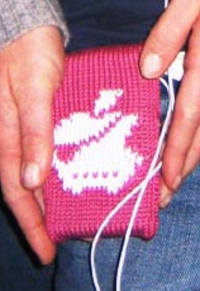 Think about how fun it will be to design your own custom knitted iPod cases. Perfect, personalized fast Christmas gifts! Note: If you are in need of yarn, this week at WEBS’s yarn.com site 10% of all purchases from now until Saturday, September 10th will go to the American Red Cross Hurricane Katrina Fund.